All the aid you will want will be a catalogue of the books to be read and the order in which they are to be read. 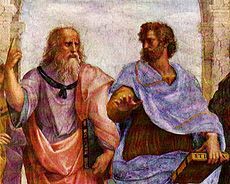 If you are motivated to learn or teach the most important of the great works and discoveries of man, this site is for you. This website contains listings of approximately 1,000 books covering the essentials of an education in the sciences and arts, organized from introductory books through advanced development. Objectivists, adult educators, homeschooling parents and others interested in educating themselves and/or their children should find this a valuable reading list. Preschool through teenage books are listed under Education, above. Adult and advanced teen material is categorized in the topics above, with core topics listed separately and all topics, including the core topics, listed again. Within each category books are listed in a recommended reading sequence from basic books to more specialized ones. Most are linked to a bookstore where you can buy them, usually Amazon.com, Barnes and Noble, or the Ayn Rand Bookstore. Click on any topic above to explore a field of knowledge.